Screenshot from an ad calling for families to return to celebrating the Sabbath. The Bible clearly tells us that Shabbat (the Sabbath) is an eternal covenant and a sign between God and the Children of Israel, a testimony to the fact that God introduced the concept of rest on the seventh day. For most of the past 2,000 years, this hasn’t presented any conflict. Jews had their Sabbath from sundown Friday night until sundown Saturday night. And Christians had Sunday. In recent times, these categories have become somewhat blurred, as people with Christian backgrounds have begun seriously exploring the Hebrew roots of their faith. It’s also not uncommon for Christian Zionists to experience Shabbat with a Jewish family in Israel and to want to replicate elements of the Jewish Shabbat when they return home. This interest in Shabbat from Torah-aware Christians creates dilemmas on both sides of the bridge. Jews are commonly taught that Shabbat is exclusively and eternally for the Jewish people and that non-Jews are not allowed to keep the Jewish Shabbat. The discussion about people from the Nations marking the seventh day as a Sabbath is found in rabbinic texts which most Christians don’t accept. At the same time, Torah-aware Christians are looking for guidance about how to best recognize and honor the Biblical Shabbat. 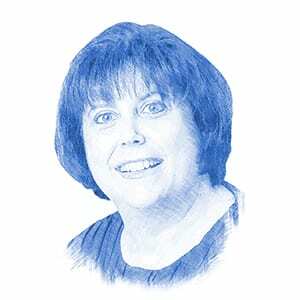 The dilemma intensified recently when an article by Adam Eliyahu Berkowitz in Breaking Israel News quoted Rabbi Yoel Schwartz, a major rabbinic figure, saying that the time has come for the Jewish people to encourage people from the Nations to honor Shabbat in ways that are appropriate for them. Rabbi Schwartz said that doing so is connected to the appearance of Moshiach (Messiah). Jewish law recognizes multiple categories of non-Jews. The discussion on this topic is extremely technical and beyond the scope of this article. Given this dilemma, and the complications involved, what practical advice can be offered to people from the Nations who wish to take part in Shabbat? For the Torah observant Jew, Shabbat observance is a combination of things we do (sometimes called positive commandments) and things we refrain from doing (sometimes called negative commandments). The actions we refrain from doing on Shabbat include driving in a car, using electronic devices, handling money, turning light switches on or off and cooking. Jewish law is clear that people from the Nations are not required to, indeed ought not, refrain from any of the actions that Jews refrain from on Shabbat. The actions that mark Shabbat include things like lighting candles before sundown, eating festive meals and studying the weekly Torah portion. People from the Nations are encouraged to remember the Shabbat by marking it with special rituals. Breaking Israel News spoke to Daniel Goldstein, author of Practicing the Sabbath with Community: A Christian Guidebook for Restoring a Day of Rest from A Jewish Perspective. Goldstein recommends that a Shabbat for non-Jews should include, “two candles, a cup of wine (for kiddush), and at least two challot (the special bread of Shabbat). “The candles bring light to the home and remind us of the beauty and sacredness of the day. 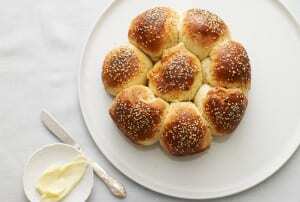 The challah bread is a reminder that God alone is the One who provides our daily food, especially for Shabbat. 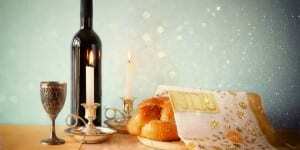 And the wine of kiddush reminds us how one day each week is set apart as holy unto God,” he elaborated. The mitzvah (commandment) of lighting candles to inaugurate Shabbat is rabbinic and not Biblical in origin. At the same time, there is a very strong tradition in Judaism that all the Biblical foremothers, starting with Sara, lit candles for Shabbat. It is taught that a miracle accompanied Sara’s Shabbat lights and they would continue to burn all week long. Kiddush over wine or grape juice has a much more direct Biblical connection. Goldstein pointed out that “The blessing for kiddush begins with the verses from Genesis 1:31-2:3 which remembers the first Shabbat as God Himself sanctified the seventh day.” It’s worthwhile to consider reciting these verses before taking a sip of wine or grape juice on Shabbat. The third element Goldstein mentioned, challah, translated here as a loaf, is also mentioned in the Bible, specifically as a gift the Jewish people offered to the priests. It’s worthwhile to consider reciting these verses before cutting and serving the challah on Shabbat. Interestingly, the commandment of challah is categorized as t’luyot ba’aretz (dependent on the Jewish people living in the Land of Israel). Beyond the three elements of candles, challah and wine, Christians should seriously consider spending time studying the Bible and especially focusing on the parsha (weekly Torah portion) or the Biblical verses related to the Creation. These verses are especially significant because Shabbat is the culmination of Creation. Shabbat is also an ideal time to spend with family, close friends and like-minded neighbors. A festive meal, with special tableware, wine, challah and multiple courses, is entirely appropriate. Shabbat is also a good time to recite chapters from the Book of Psalms, especially chapter 92 which specifically mentions Shabbat. Some have the custom of reading the entire Book of Psalms every week . To facilitate that, the 150 chapters of Psalms are divided into seven sections. Chapters 120-150 are the Shabbat portion of the Book of Psalms. Another potential Shabbat activity for non-Jews is spending time in nature, which could include taking leisurely walks or hikes or picnicking in a nearby park. Whatever activities one chooses, the emphasis on Shabbat should be on bearing witness to the fact that God created the world in six days and rested on the seventh. Shabbat is the ideal time to reflect on love of God, studying His Torah and acknowledging our belief in the Oneness of God. In a 2015 video about whether a non-Jew can keep Shabbat, Rabbi Dror Cassouto who has a very large following of non-Jewish students, taught that ultimately, the purpose of honoring Shabbat in whatever way is appropriate is, “to be very humble, to crown Hashem Yitbarach (God, may His name be blessed) on ourselves. It doesn’t matter where you are and on which level you’re holding. The question is how humble you are and how much you’re crowning Hashem Yitbarach on yourself and how much you’re serving and want to commit yourself to Him.” he explained.